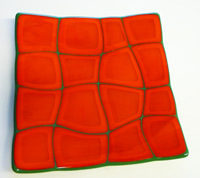 Learn how to create a beautiful contemporary fused glass plate. We borrowed this idea from Spectrum's Score Magazine.You are not required to have any previous skills. 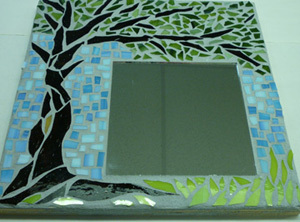 We will be offering a crash course on glass cutting to help you through this project. Each piece will be fused and then slumped. The results are stupendous!! Plate size is 12" square. These plated make beautiful gifts!